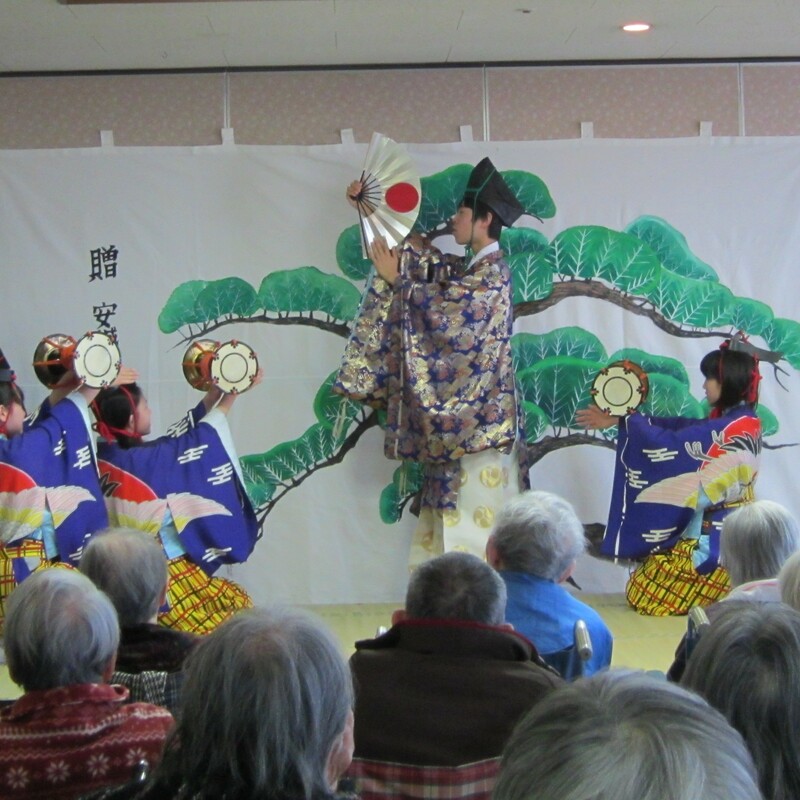 Mikawa-Manzai is the traditional art based on the idea that, if we wish with singing and dancing beforehand, it will come true. In the original form of Manzai, it was not performed as entertainment but as a ritual for driving away demons and calling in good fortune at the beginning of the new year. Mikawa-Manzai was granted the privilege of being performed at the Shogun’s Palace on the occasion of the New year. Mikawa-Goten-Manzai is a type of Manzai that started to be preformed from the Meiji Era. It’s devised so that it may be danced splendidly on the stage. Anjo West Jr. High school is the only Jr. high school having the Mikawa-Manzai Club in Anjo city. This year is the 19th year since the club started. Mikawa-Manzai Club is not a mandatory club activity. It is a voluntary one. Therefore, all members join regular club activities, too.